Oh Boy, this morning I opened my daily email from Annie Eats and I knew I had to try them, and so glad I did, they’re SO GOOD!! ~Line bottom and sides of 8″ pan with parchment paper, lightly butter the paper, or as I did, I used 9×13″ pan, nicely buttered. 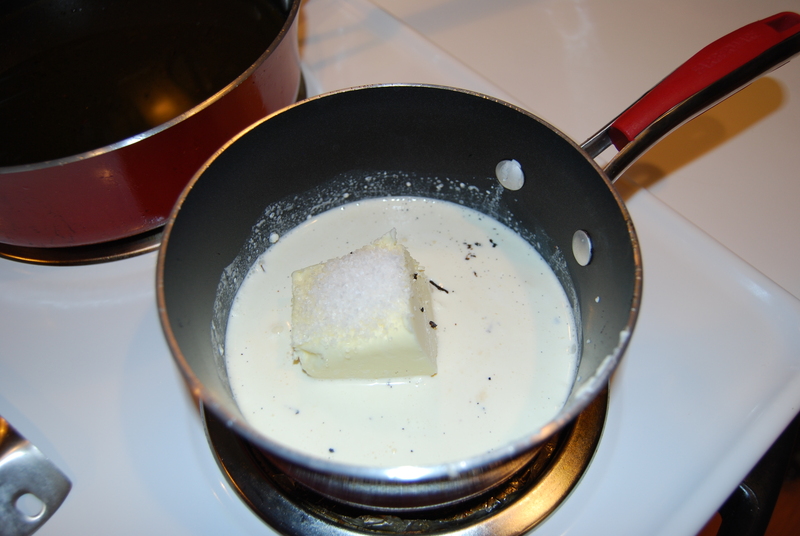 ~In a small sauce pan combine, cream, butter, vanilla extract, vanilla seeds and pod, and salt. Heat on med-high heat and bring to a boil. Remove from heat and set aside. 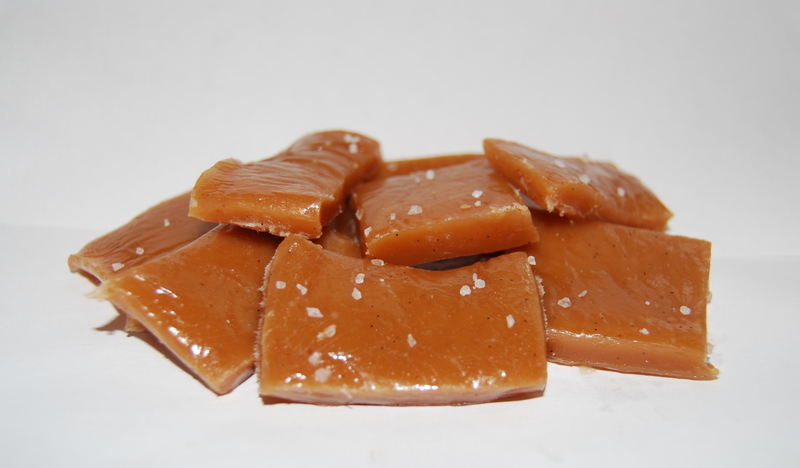 ~In a medium sized pan combine sugar, corn syrup and water. Have candy thermometer ready. 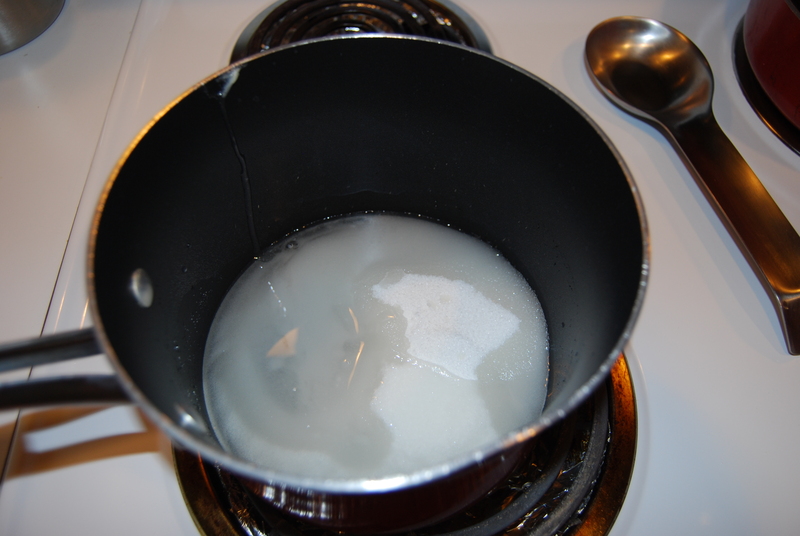 Heat over med-high heat stirring occasionally until sugar dissolves. 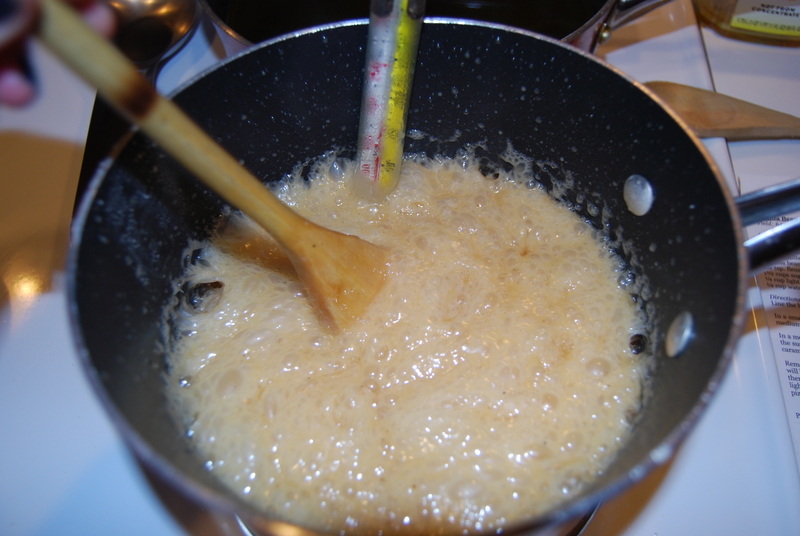 Boil, without stirring, gently swirling occasionally, until the mixture is light golden brown in color. 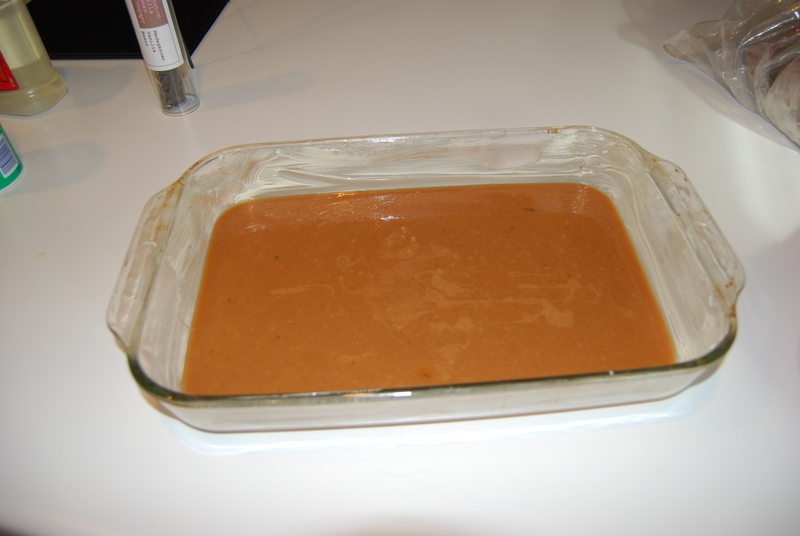 ~Remove the vanilla bean from cream mixture and carefully stir the cream into the caramel, which will bubble up, so be careful. Continue to cook until candy thermometer reaches 248 degrees. remove from heat at once and pour into prepared pan, and sprinkle with a bit of sea salt. ~Let cool for at least 30 minutes, cut into 1″ squares, with a pizza cutter (works great), and wrap with either wax paper or plastic wrap. Annie’s, blog it awesome, makes me so hungry every time I brows through looking at her recipes! Go check it out!! Go, on go….but come back!! 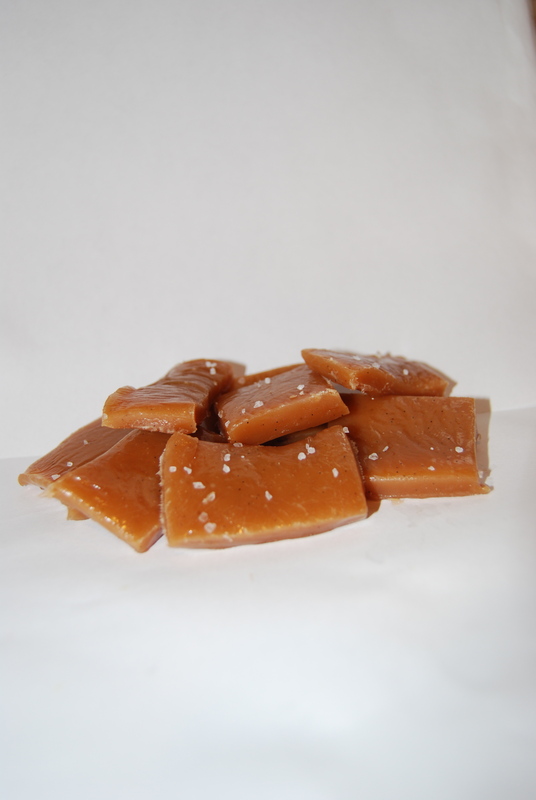 Categories: Baking, Caramel | Tags: baking, caramel, vanilla | Permalink.